Our roadmap to making Pipe the best experience it can be, has made us focus on adding and implementing more tools that help the user to develop, test and integrate with our product easier. To that end the newest release of Pipe is mainly about the new multiple webhooks feature. We’ve revised and changed our cloud server software architecture to make it possible to have multiple webhooks per account. The possible events for the webhooks are still the same, but the big change that comes into play is the option to add two or more webhooks URLs each with it’s own configuration of events and logs. As you can see in the screenshot above this particular account has three different webhooks associated with it. Webhooks can easily be created, edited and deleted at any time. 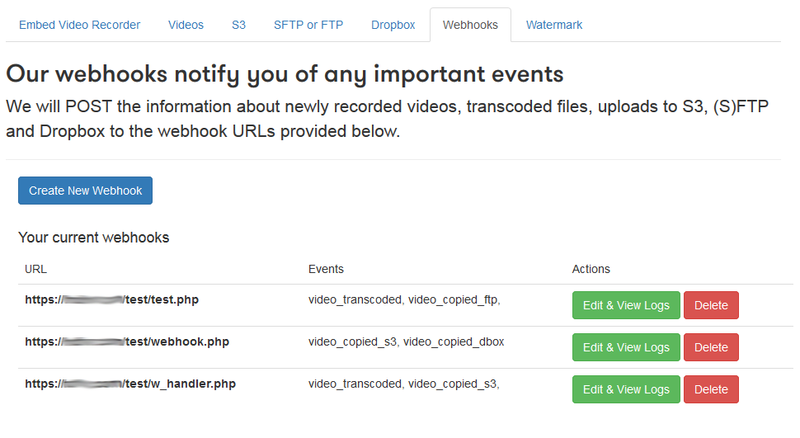 Webhooks that failed to be sent at the time of the event can easily be resent from the [Videos] tab as before. Pressing the [Resend] button for a particular event will resend ALL failed webhooks that failed for that event. The Rest API /webhook endpoint has also been updated. See the documentation for more details. 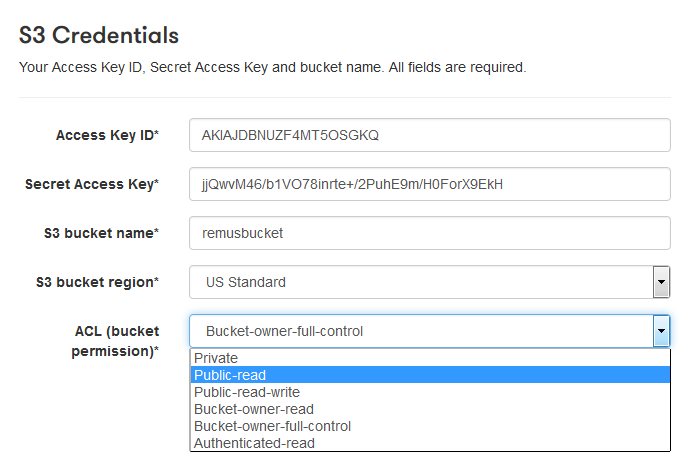 Amazon S3 Access Control Lists (ACLs) enable you to manage access to buckets and objects. Each bucket and object has an ACL attached to it as a subresource. It defines which AWS accounts or groups are granted access and the type of access. When a request is received against a resource, Amazon S3 checks the corresponding ACL to verify the requester has the necessary access permissions. Amazon S3 supports a set of predefined ACLs, known as canned ACLs. We’ve implemented a new drop down for the S3 push service that allows you to select the canned ACL you wish to assign to the videos and snapshots uploaded to your S3 bucket. The default is Private but if you want the videos and snapshots to be easily accessible through a URL, you need to select Public-read or Public-read-write. S3 webhooks and logs now also specify the ACL type that was set when the video was recorded. The event is triggered when the Pipe recorder is ready to start recording videos (the interface has been initialized, you have allowed access to your webcam and you can see yourself in the browser). See the documentation for an example on how to implement it.